Besides irresolution, I would also have accepted dithering, indecisiveness, vacillation or hesitancy. Lately I’ve been experimenting with using the Xbox, which I’ve used to play games like once in the last two years, to access Netflix. I’ve been reading about all these folks dropping their cable or satellite service, and using Netflix to keep up with all the cool shows. Late to the game I might be, but I’m still interested in seeing what the hubbub is all about. Anyway, long story short and yeah, it does seem like Netflix might be a viable alternative, especially if like me, you don’t care whatsoever about sports or current events. I mean the local news is pretty useless, except in the case when there’s an escaped psychopathic serial killer roaming the neighborhood, but really, how often does that happen? Not more than once every two or three years, at most. Now, I find I’m caught on the horns of a dilemma, or between Scylla and Charybdis, which is all poetic, and I think comes from the Odyssey, or possibly, Transformers. I’ll throw the reference in there on the off chance that people might think that I attended Oxford or Cambridge, that is, until they see my table manners. My quandary is that while perusing Netflix I found that not only did they have Zulu available, but they also had Zulu Dawn! Since I don’t have to pick between the two movies, I fully intend to watch them in a mini-Zulu marathon, or retrospective, if we’re going to be pretentious. But alas, I cannot decide in what order to screen the films. Chronologically, on a historical basis, the events of Zulu Dawn precede those of Zulu. Chronologically, in the order that the two films were made, it is the opposite. Pith helmets are this year’s must-have chapeau! Zulu has a youngish Michael Caine. Accessorize the pith helmet with a beard for maximum awesomeness! 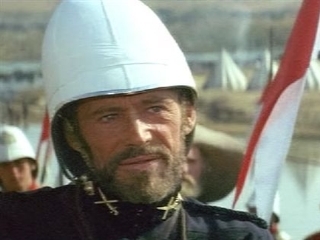 Zulu Dawn has an oldish Peter O’Toole. 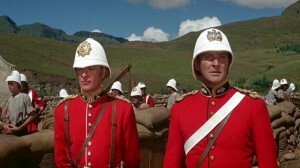 If you want to root for the underdogs, the Zulus, they win in Zulu Dawn, but lose in Zulu. 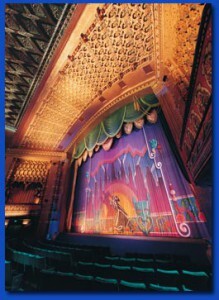 I’m concerned that if I watch the movies in the wrong order, the whole experience will be ruined. This is the textbook definition of a First World problem. I have spent the last two days pondering this particular problem and have concluded that only one solution is possible. Yes, it will be eeny, meeny, miny, moe, yet again. Strange how the same methodology one uses to select one’s wife, can also be used to determine the order in which to view one’s Victorian era military films.